Following the Assembly elections on May 5, First Minister Carwyn Jones announced a new cabinet for the Welsh Government which includes a change to the leadership on health and social care. Read the full list of new ministers in the Welsh Government. 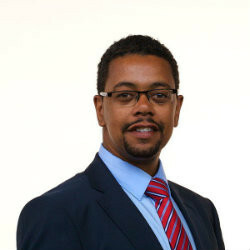 Former Deputy Health Minister, Vaughan Gething (pictured below), becomes Minister for Health, Well-being and Sport. Rebecca Evans becomes Minister for Social Services and Public Health. Announcing his plans for the first 100 days of the new Welsh government, Carwyn Jones, also said: "We will seek to establish a Parliamentary Review into the long-term future of Health and Social Care in Wales." Read Carwyn Jones' 'Moving Wales Forward' speech. Care Forum Wales has written to Vaughan Gething and Rebecca Evans setting out what we see as the priorities for our members. You can login as a CFW member to read the letter.